Sure, I’m a Yankee fan. Always have been. Still, beyond that, I’m a baseball fan which is why, as a kid, I used to pour thru the box scores looking to see how the other stars of the day made out, guys like Ted Williams, Stan Musial, Willie Mays, Sandy Koufax and Duke Snider. So, knowing that, it shouldn’t be too surprising to learn that, during our recent sojourn to Greenville, SC, I made it a point to visit the sites associated with baseball legend Shoeless Joe Jackson. For those of you unfamiliar with the life and career of Shoeless Joe, there are plenty of sites out there you can reference: The Shoeless Joe Jackson Museum site, Shoeless Joe at Wikipedia, Shoeless Joe Jackson’s Virtual Hall of Fame and Shoeless Joe at the Chicago Historical Society’s site. 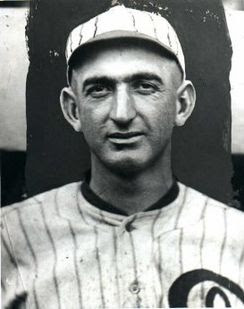 In a nutshell, while playing for the Chicago White Sox in 1919, Joe was implicated in the scandal which saw several of his teammates accused of throwing games during the World Series. Though he was acquitted during a subsequent trial, his ban from baseball at the hands of Commissioner Kenesaw Mountain Landis stands till this day. Because of this, Jackson has not been able to assume his proper place in baseball history as a member of the Hall of Fame. In actuality, his stats for the series seem to support his innocence. During the 1919 Series, Joe played flawless baseball, hitting .375, the highest on either team. He had twelve hits (a tie for the World Series record at the time); six RBIs and no errors in eight games. He accounted for eleven of twenty runs by the Sox; and he hit the only home run in the Series! Several of the sites cited above give visitors the opportunity to communicate to commissioner Bud Selig their desire to have Joe Jackson reinstated. Among those who have supported his reinstatement were Bob Feller and, now deceased, Ted Williams. Regarding Shoeless Joe’s hitting prowess, Babe Ruth said it all. 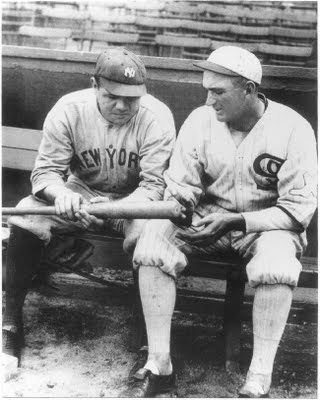 "I copied (Shoeless Joe) Jackson's style because I thought he was the greatest hitter I had ever seen, the greatest natural hitter I ever saw. He's the guy who made me a hitter." - Babe Ruth. But, I digress. When my better half, Uppy, planned our recent getaway to Greenville, SC, she allowed for the Joe Jackson homage in order to give me something to do. To her credit, she also planned on my touring the local pool rooms but, as luck would have it, by the time we arrived I was in the throws of a miserable cold. I tried to play the part of the happy traveler, but I just didn’t feel like battling a runny nose while bent over the table. Joe grew up in the Brandon Mill Community. He started working in the mills at age 7, which is the primary reason for his lack of a formal education. Soon after, his talent for baseball was discovered and he was enlisted to play on the Brandon Mill team which competed against other mill leagues in the area. On March 30, 1996, the field built on the site where Joe played as a boy was named Shoeless Joe Jackson Memorial Park in his honor. We arrived there pretty early in the morning, before the haze had a chance to burn off. Next, we decided to drive out to the cemetery where Joe and his wife Katie were buried. Woodlawn Memorial Park, according to Uppy who knows cemeteries, is a “lovely” place to be buried. Unfortunately, there are no road signs directing visitors to Shoeless Joe’s resting place. Luckily, I spotted a gentleman touring the grounds in a golf cart. When I asked him about Shoeless Joe, he insisted on leading us to the grave. Thank goodness, because we never would have found it on our own. Last stop, The Shoeless Joe Jackson Museum. In 2006, the house where Joe and his wife Katie had lived was moved from 119 East Wilburn Street to its present location 356 Field Street, across from Fluor Field. (The "356" pays tribute to Joe's lifetime batting average of .356) Pictures detailing the move can be found on the museum’s website. The museum, a charming little structure, opened promptly at 10 AM, just as we arrived. The guides generously filled us in on the Jackson lore and history and made us happy we had included the stop on our tour. I kicked myself, later, for not taking some pictures inside, but I did snap a couple outside. I have to hand it to Uppy, she did a good job planning this trip. We’re already looking forward to a return to Greenville.